Why did Jesus Christ have to be born of a virgin? Why does the Bible place such emphasis on blood? Why is humanity in a fallen state in need of redemption? 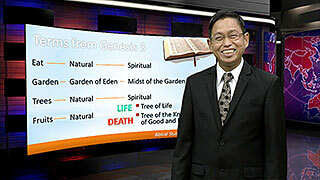 Bible teacher, Nestor Espanola, goes all the way back to the beginning, to the book of Genesis, to answer these questions by showing what really happened in the Garden of Eden. With the use of graphics, he dispels the common fairy tales associated with the fall in Eden.